Life is not always a bowl of cherries for companies competing in the hotly contested market for fruit spreads, jams and preserves these days. But for hard-working enterprises like Crofter’s Food Ltd. in Parry Sound, Ont., reaping sweet rewards of steadfast commitment to healthy nutrition and all-natural organic product formulation is a fitting tribute to the nearly 30 years of continuous product innovation and process improvement at the fruit and berry processing business operating amidst full natural splendour of the UNESCO-listed Georgian Bay Biosphere Reserve archipelago in Northern Ontario. reduced-sugar recipes that today’s health-conscious consumers can’t seem to get enough of. 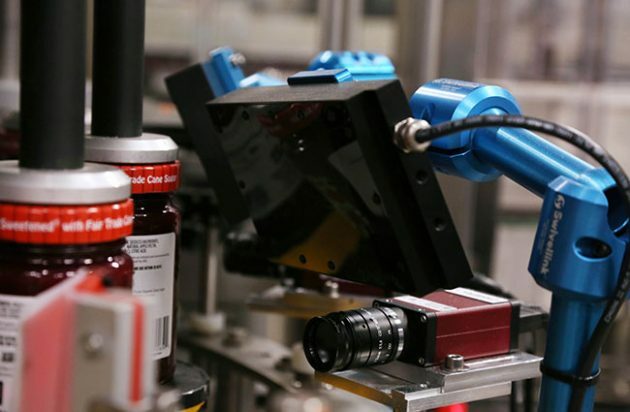 A close-up of one of the high-speed cameras deployed by the METTLER TOLEDO CI-Vision model V2630 vision system taking continuous pictures of the passing jar of product to verify correct label placement and perform other quality control checks as required. With a firm commitment to organic farming and the use of all-natural ingredients right from the outset, “we were one of the very early organic producers of any sort of organic products around,” Latka recalls. over time as more consumers became knowledgeable about organic foods. 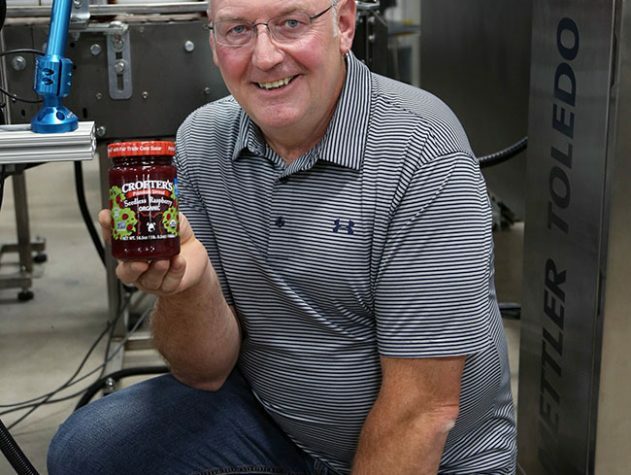 Another important milestone in the company’s history was the 2016 startup of a brand new greenfield manufacturing facility just outside of Parry Sound in Seguin, Ont., which cost over $19 million to build and equip with state-of-the-art processing and packaging systems that have enabled Crofter’s to solidify its market-leading credentials in the natural products segment of the industry. “We now produce over 170 different SKUs (stock-keeping units) at the new facility and our original smaller plant in downtown Parry Sound,” Latka relates, explaining the multitude of process improvements and production efficiencies enabled by the new plant, which currently employs 56 full-time people working in single 10-hour shifts, five-days-a-week. 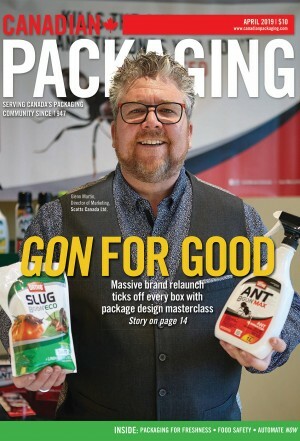 “Making this big investment into our new plant provided us with a rare onetime opportunity to make sure that we do everything right from the get-go,” Latka told Canadian Packaging during a recent visit to the lively Seguin facility that can package up to 150,000 jars of product per shift, depending on product and container sizes. 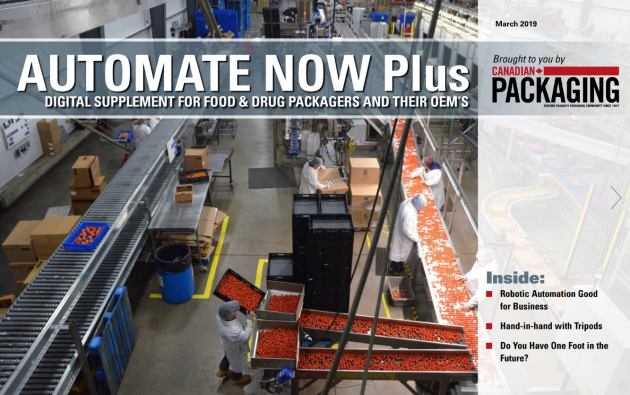 “We have invested a lot of money into top-quality, automated production and packaging equipment to optimize line efficiencies and to increase line speeds,” says Latka, relating details of massive multi-phase expansion that more than tripled the company’s production capacity, while enabling it to process larger-sized jars for important new Club Store retail customers. Starting with the addition of new warehousing and freezer space on the site, the Seguin facility was expanded to 75,000-square-feet in 2013 to accommodate the influx of new processing systems for cooking, filling, pasteurization and cooling, as well as high-performance labeling, case-packing and palletizing equipment. 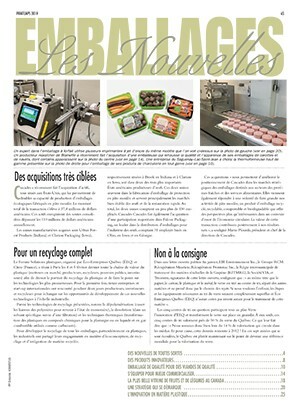 After adding an on-site zero-wastewater treatment facility and more packaging line upgrades such as robotic order-picking, inline checkweighing and laser-based product coding technology shortly after, the company continued its modernization overhaul by fully automating its heating, cooling and other building systems to make them more energy-efficient. This went hand-in-hand with implementing a new enterprise-wide SCADA (supervisory control and data acquisition) software system for real-time monitoring, gathering and processing of all the production data generated by the plant’s operations. “The end goal was always to make this factory a truly ‘smart’ plant,” says Latka, clearly pleased with the results of SCADA implementation so far. 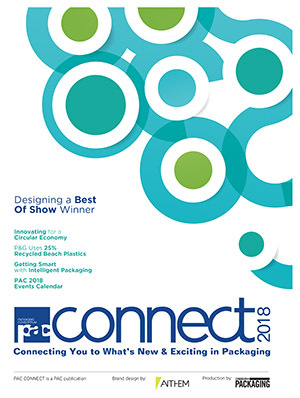 “It gathers all the important production data in our plants—including process temperatures, filler speeds and counts, labeler performance, palletizer throughputs, machine faults, missing caps and so on—and we can use that data to optimize operator performance and enhance the management of all our critical control points,” Latka explains. 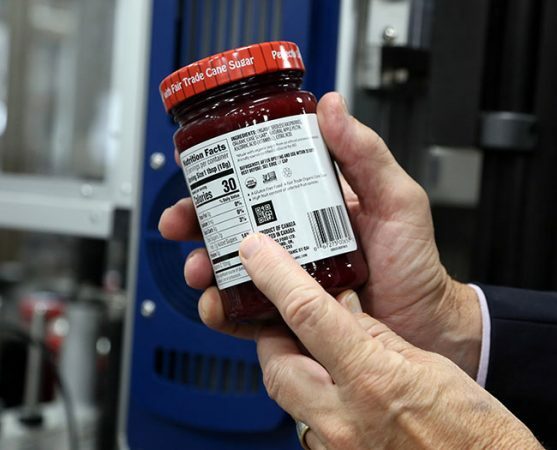 With the new data collection capabilities in place, Latka saw a unique opportunity to optimize the new plant’s unique new product traceability system, developed in-house, relying on the use of two-dimensional QR (quick response) barcodes to provide both its retail customers and consumers with a wealth or product information on the back label of every single jar coming off the plant’s packaging line. A close-up of the black-and-white checkered QR (quick response) code generated on the back of each product label by the Domino D620i model laser coder manufactured by Domino Printing Sciences, which can generate virtually unlimited lines of text in just about any size, font or orientation. “With traceability being key for us, we track every lot number of the product coming in and going through our processing system,” says Latka, citing recent installation of a leading-edge CI-Vision V2630 vision system, supplied to the plant by product inspection specialists METTLER TOLEDO Canada Inc.
Says Latka: “Anyone with a smartphone can scan the QR code and be directed straight to our web page to check out the status of the product, whether it’s affected by any recall or not, while also provide additional product information, like where were the apricots in their jar came from, for example. Developed in-house, the plant’s unique QR traceability systems is based on high-speed application of a permanent QR code that is burnt into a designated black box printed on the back of product labels, which are applied onto filled glass jars of product by the inline Langguth labeling system at line speeds of 250 containers per minute. The unique orientation of the Domino D620i laser coder was required to enable precise positioning of the QR code within the pre-printed black box on the back label. Looking like a checkered white-on-black square, the QR code is burned into the pre-printed black box by a strategically-positioned Domino D620i model laser coder that emits a powerful laser beam onto the black box’s top surface to burn off the top black layer in 60 milliseconds (0.06 of a second) flat—right during the brief “dwell time” before the container is rotated inside the Langguth labeler to apply the rest of the label. Manufactured by Domino Printing Sciences, the model D620i coder employs a powerful 60-Watt laser and a high-speed I-Tech scanhead to generate a unlimited lines of text in virtually any size, font and orientation, but for Latka’s needs, the main issue was to ensure precise positioning of the laser head to produce a good quality QR code within those critical 60 milliseconds. “With the label itself applied to the jar in 250 milliseconds, it was critical to get the laser do its thing in the 60 milliseconds stop/dwell time when the Langguth labeler temporarily stops and sends a signal to the Domino laser to make the code. “Everything has to be very precise at these speeds,” says Latka, extending credit to Domino’s local support team for sticking through the whole process of fine-tuning the laser’s timing. “The first laser we used turned out to be not strong or powerful enough to burn the QR code in the required 60 milliseconds,” he recalls, “but full credit to Domino people for fully standing behind their product until the end by upgrading us to the D620i model. “Being able to produce a QR code in 60 milliseconds is a spectacular achievement that required a lot of thinking and testing,” Latka extols, “and our people worked hard with the Domino technical staff to make it happen. “Each unique QR code serves as the name of the jar and provides consumers with the lot number for that jar, so that every consumer who wants more information can use the smartphone to scan it and find out exactly what batch this product was made in,” Latka enthuses. 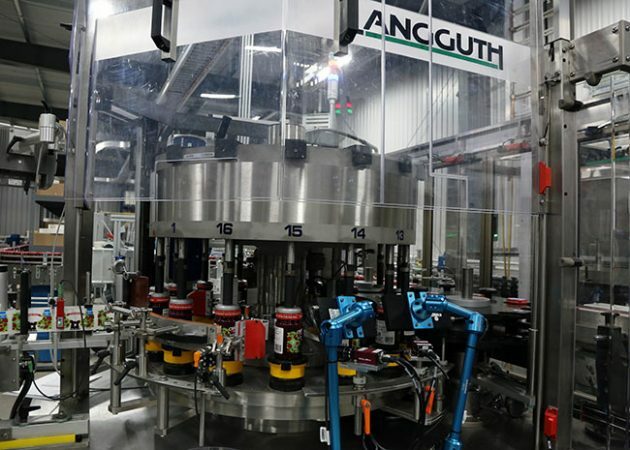 The high-speed rollfed inline Langguth model E-65 rotary 16-station labeler at the Crofter’s Food plant in Seguin,Ont., can apply decorative product labels onto the various-sized glass containers at speed of up to 250 labels per minute, while also pre-printing the strategically positioned black box on the back of each label to provide a printing surface for the Domino D620i laser coder to burn in a QR code right after labeling. While this alone would be enough for many other food producers, Latka decided to raise this traceability competence to the proverbial next level with installation of a leading-edge vision system to verify the readability of the QR codes, as well as confirm that each label perfectly matches the product for which it was intended. Developed by METTLER TOLEDO CI-Vision, part of the Swiss-headquartered parent company’s product inspection business, the model V2630 vision system installed on the plant’s Langguth model E-65 rotary 16-station inline labeler uses three cameras to execute various quality control checks on each and every passing label right after the QR code has been applied by the Domino laser. According to Latka, the installation of the vision system has been of great benefit to the line operators, who were previously tasked with ensuring that the right labels always went onto the right product. 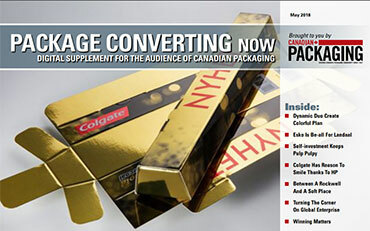 “The problem was that our bilingual Canadian product labels look very similar to the U.S.-bound English-only labels in terms of decoration and graphics on the labels,” Latka says, “which could easily result in labeling mix-ups. “We simply can’t have a Canadian-labeled jam ending up in California, which would definitely result in a costly recall,” Latka says. “With the new line being so fast, we decided that it was time to take this burden off the operators and not have them always working behind the eight-ball. “That’s a prescription for chaos,” Latka asserts, “and chaos is very costly in our business. 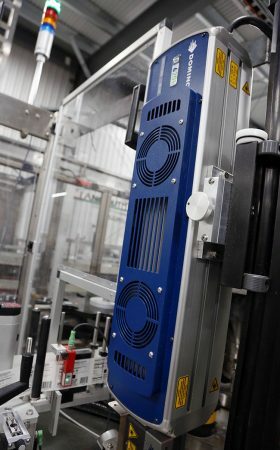 Mounted on custom-designed swiveling brackets assembled by the Crofter’s Food in-house staff, the METTLER TOLEDO CI-Vision model V2630 vision systems help ensure optimal quality control performance and barcode verification on the plant’s packaging line at speeds of up to 250 jars per minute. Davor Djukic, national sales manager for product inspection products at METTLER TOLEDO Canada Inc. in Mississauga, Ont., concurs. “The beauty of these vision systems is that there are virtually no speed limitations,” Djukic says, “or the types of inspection tasks they can be taught to perform. “It can inspect the position of the label, the readability of the barcode, the best-before date, print quality on the label or the cap, the integrity of the cap, the presence of the cap, etc.,” Djukic explains. “While the METTLER TOLEDO CI-Vision system here at Crofter’s uses three cameras, it can be easily expanded to six. 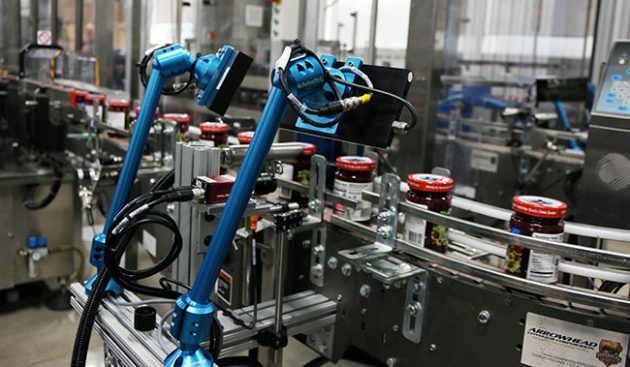 This provides ‘future proofing’ and the ability to add critical control points upstream and/or downstream on the line as requirements evolve—all managed from a single HMI (human-machine interface) terminal, which would provide full coverage for every jar from the top, bottom and each of the four sides. This extra data collection capability is an especially attractive feature for Latka, who says the company already makes good use of the “tremendous” amount of data generated by the METTLER TOLEDO Hi-Speed inline checkweigher system installed on the new line about a year ago. “The new METTLER TOLEDO checkweigher makes sure that every single unit going down the conveying line for shipment gets weighed to determine the exact fill weight that will meet both Canadian and U.S. guidelines for what constitutes proper fill weight,” Latka says. In addition to the METTLER TOLEDO checkweigher and vision systems, the Seguin plant also deploys a METTLER TOLEDO Safeline metal detection system to inspect the bulk product before it makes its way to the filling stations to ensure optimal food safety and quality control at that critical stage. “We also have a METTLER TOLEDO metal detector at the original smaller facility, which has held up extremely well under very stressful high-speed, high-moisture conditions for many years to help us maintain our high product quality and protect our brand reputation. “We buy our key raw ingredients worldwide so we have to be ready for anything,” says Latka, explaining that all the data related to incoming product is also entered into the plant’s product management system and, ultimately, transferred to final QR code appearing in the product label. 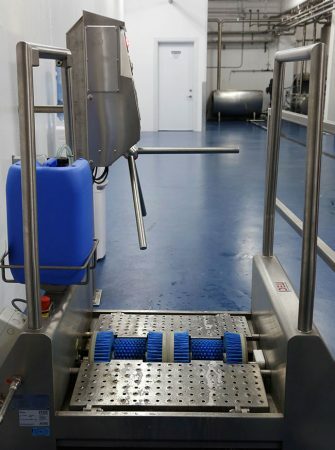 Installed at the Crofter’s Food plant by Shawpak Systems of Oakville, Ont., the ITEC-Food Technology sanitation station provides personnel with comprehensive sole cleaning and controlled hand disinfection for safe product handling. As for the CI-Vision cameras installation, “We are really grateful to METTLER TOLEDO and Shawpak (METTLER TOLEDO’s nationwide sales agent for product inspection equipment) for what was really a flawless execution. “It’s always difficult to integrate new equipment into an existing technology like the Languuth labeler, but METTLER TOLEDO engineers did a great job of integrating the vision systems right where it made the most sense to place them,” says Latka, also extending credit to his own staff for making the perfectly fitting brackets to facilitate precise mounting of the cameras. 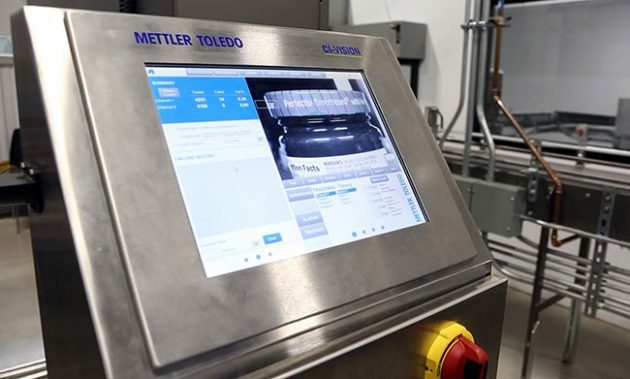 “It was a real joy to see our own people executing all the prep work so well, that when the METTLER TOLEDO technical staff arrived on-site, everything was all done and dusted in just one day,” he beams. Latka estimates the company produces about 60 of its current SKUs under its own flagship Crofter’s Premium Spread, Crofter’s Just Fruit Spread and Crofter’s Superfruit Spread brands—each one carrying USDA organic and Non-GMO Project certifications validating the products’ purity—and says he looks forward to converting the company’s entire branded portfolio to the QR traceability system. The images of pictures taken by the METTLER TOLEDO CI-Vision V2630 vision system are clearly displayed on the system’s touchscreen HMI (human machine interface) in real time to alert line operators of any irregularities in respect to label placement, cap sealing integrity, and many other quality checks performed by the system along the selected critical control points on the high-speed packaging line. “We opted to do this on the Crofter’s brand first in order to prove the benefits of this technology to our private-label customers and see if they would like to adopt it themselves,” Latka says.